Inner and outer praxis are connected through integrating sound theory and good practice. 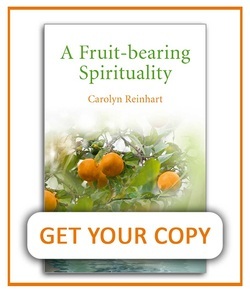 This multifaith and interspiritual website, founded by Frederic and Mary Ann Brussat, is devoted to resources for spiritual journeys. The site's name reflects a basic understanding: spirituality and practiceare the two places where all the world's religions and spiritual paths come together. While respecting the differences among traditions, we celebrate what they share in common. If you share our values, vision, and mission, we invite you to join one of our Circles of Support. Our international nonprofit organization provides resources for living in the gentle power of gratefulness, which restores courage, reconciles relationships, and heals our Earth. The Wisdom School of Graduate Studies (formerly Wisdom University) is a graduate school within Ubiquity University dedicated to catalyzing personal and professional renewal within the context of granting academic degrees. Explore the online Seek and Find Guide to locate a spiritual director. Also known as spiritual companions or spiritual guides, spiritual directors help people discover how God is truly with them every day and everywhere. Around the world, spiritual direction is cultivating communities of peace and compassion through the contemplative practice of sacred listening. Would you like tips to seek and find a spiritual guide? RSVP for the FREE Teleconference: "How to Seek and Find a Spiritual Director." Everyone who is interested in spiritual care is welcome to participate. The world needs places that equip individuals to serve with compassion, acknowledging our differences while valuing our one-ness. The Rohr Institute's Living School for Action and Contemplation provides such a course of study grounded in the Christian mystical tradition. Cultivating a contemplative mind through teachings and practices, students deepen their awareness of our common union with Divine Reality and all beings. Students emerge empowered to live out their sacred soul task in their homes, workplaces, and all relationships, within a more spacious stance that is at once critical, collaborative, and joyful. Sister Joan Chittister, a visionary spiritual voice in our times and an advocate for peace and justice around the world, offers a full and rich perspective on prayer. Sister Joan is a member of the Benedictine Sisters of Erie, Pennsylvania, founder and executive director of BenetVision, and an internationally renowned speaker and author. Read the article below. Diarmuid O'Murchu, a member of the Sacred Heart Missionary Order, and a graduate of Trinity College, Dublin Ireland, is a social psychologist most of whose working life has been in social ministry, predominantly in London, UK. In that capacity he has worked as a couple's counsellor, in bereavement work, AIDS-HIV counselling, and, in more recent times, with homeless people and refugees. As a workshop leader and group facilitator he has worked in Europe, USA, Canada, Australia, The Philippines, Thailand, India, Peru and in several African countries, facilitating programmes on Adult Faith Development. His best known books include Quantum Theology (1996 - revised in 2004), Ancestral Grace (2008), Jesus in the Power of Poetry (2009), Christianity's Dangerous Memory (2011), In the Beginning was the Spirit (2012), and God in the Midst of Change (2013). They offer conferences, journals and summer school. It was started in 1989 and aims to act as a platform for the creation and dissemination of feminist theological research. It is an ecumenical and interfaith organization which has as its central concern hearing women to speech. This concern fosters an environment of mutuality, creativity and accessible scholarship rooted in the lived experience of woman and men. She is currently the President Emeritus and a Senior Fellow at the Institute of Noetic Sciences, where she has also served as President and CEO. Additionally, she is a Senior Scientist at the California Pacific Medical Center, where she focuses on health and healing. For more than three decades, Marilyn has been a leader in the field of consciousness studies. Her research and extensive publications focus on personal and social transformation, cultural pluralism, and mind body medicine. She has a depth of leadership experience in government, business, and the not-for-profit sectors. Her broad and varied work has given her a unique ability to help individuals and organizations identify and develop personal and interpersonal skills and capacities needed by 21st century leaders. She is currently producing a feature film with Deepak Chopra. A five-time New York Timesbestselling author and internationally renowned speaker in the fields of human consciousness, spirituality and mysticism, health, energy medicine, and the science of medical intuition. Caroline established her own educational institute in 2003, CMED (Caroline Myss Education), which offers a diverse array of programs devoted to personal development and draws students from all over the world. In addition to hosting a weekly radio show on the Hay House network, Caroline maintains a rigorous international workshop and lecture schedule. After completing her Master's degree, Caroline co-founded Stillpoint Publishing and headed the editorial department, producing an average of ten books a year in the field of human consciousness and holistic health. Simultaneously Caroline refined her skills as a medical intuitive, with the assistance of C. Norman Shealy, M.D., Ph.D., a Harvard-trained neurosurgeon. Hay House is committed to publishing products that have a positive self-help slant and are conducive to healing planet Earth..
Hay House is one of the fastest-growing self-help and transformational publishers in the world, selling to more than 35 countries around the world. Hay House is a medium-sized publishing house bringing in big-name authors: Louise Hay Wayne Dyer Suze Orman Doreen Virtue Jerry & Esther Hicks Jorge Cruise Marianne Williamson Caroline Myss Cheryl Richardson Christiane Northrup Tavis Smiley Cornel West who are attracted to our innovative approach to 21st century publishing. William Bloom is Britain’s leading author and educator in the mind-body-spirit field with over thirty years of practical experience, research and teaching in modern spirituality. He is founder and co-director of The Foundation for Holistic Spirituality and the Spiritual Companions project. His mainstream career includes a doctorate in political psychology from the LSE, ten years working with adults and adolescents with special needs, and delivering hundreds of trainings, many in the NHS. He was also a successful novelist and publisher. His holistic background includes a two-year spiritual retreat living amongst the Saharan Berbers in the High Atlas Mountains, twenty-five years on the faculty of the Findhorn Foundation, and co-founder and director for 10 years of the St. James’s Church Alternatives Programme in London. He is also a meditation master and his books include the seminal The Endorphin Effect, Feeling Safe, Psychic Protection and Soulution: The Holistic Manifesto. His latest book The Power of Modern Spirituality was recently published. His books are translated into sixteen languages. Jack Kornfield is a teacher in the vipassana movement of American Theravada Buddhism. He trained as a Buddhist monk in Thailand, Burma and India, including as a student of the Thai monk Ajahn Chah. Candace Beebe Pert is an internationally recognized American neuroscientist and pharmacologist who discovered the opiate receptor, the cellular binding site for endorphins in the brain. She has published over 250 scientific articles. Dr. Pert appeared in the feature film What the Bleep Do We Know!?? and Bill Moyer’s TV program Healing and the Mind. She is the author of the book Molecules of Emotion: The Scientific Basis Behind Mind-Body Medicine (Scribner, 1997), Everything You Need to Know to Feel Go(o)d (Hay House, 2006), and the musical guided imagery CD Psychosomatic Wellness: Healing your Body-Mind. It empowers a growing global movement of people who are creating an evolutionary shift of consciousness that in turn leads to a more enlightened society, one built on principles of sustainability, peace, health, and prosperity. Through our online Summits and Courses we have already served more than 200,000 worldwide who are committed to shifting our world’s operating system. Please join us as we create events, programs, and activities that help us evolve! The Shift Network was founded and launched its first event in February of 2010. The Institute of Noetic Sciences™, founded in 1973 by Apollo 14 astronaut Edgar Mitchell, is a 501(c)(3) nonprofit research, education, and membership organization whose mission is supporting individual and collective transformation through consciousness research, educational outreach, and engaging a global learning community in the realization of our human potential. “Noetic” comes from the Greek word nous, which means “intuitive mind” or “inner knowing.” IONS™ conducts, sponsors, and collaborates on leading-edge research into the potentials and powers of consciousness, exploring phenomena that do not necessarily fit conventional scientific models while maintaining a commitment to scientific rigor. The Institute’s primary program areas are consciousness and healing, extended human capacities, and emerging worldviews. If you are looking to learn how to live your life in a more coherent way, then you will be pleased to learn about HT University! Established in 2012, Humanity’s Team University is dedicated to offering the finest education and learning opportunities for those people who want to live their lives from a place of oneness. We offer support for our team members to live all aspects of their lives- from family to work- in a mindful and community based way. Like our parent organization, Humanity’s Team, we look forward to a new future for our planet that includes collaboration and love. GreenSpirit is a network of people who celebrate the human spirit in the context of our place in the natural world and Earth's own evolutionary journey. Our radical vision brings together the rigour of science, the creativity of artistic expression, the passion of social action and the wisdom of spiritual traditions of all ages. Attracting those of many faith traditions, we are a body of people who believe that human life has both an ecological and a spiritual dimension. We work with government, business and individuals to conserve our environment by providing science-based research, education and policy work, and acting as a catalyst for the change that today's situation demands. Our mission is to protect the diversity of nature and our quality of life, now and for the future. Our vision is that within a generation, Canadians act on the understanding that we are all interconnected and interdependent with nature. — make certain that Canadians can maintain a high quality of life within the finite limits of nature through efficient resource use. — work to protect the diversity and health of Canada's marine, freshwater, and terrestrial creatures and ecosystems. — ensure that Canadians, especially youth, learn about their dependence on a healthy environment through outdoor education. efficient transportation, and being mindful of the products, food and water we use. David is a cultural ecologist, philosopher, and performance artist – is the founder and creative director of the Alliance for Wild Ethics. He is the author of The Spell of the Sensuous: Perception and Language in a More-than-Human World (Pantheon/Vintage), for which he received the international Lannan Literary Award for Nonfiction. An accomplished storyteller and sleight-of-hand magician who has lived and traded magic with indigenous sorcerers in Indonesia, Nepal, and the Americas, David lectures and teaches widely on several continents. His essays on the cultural causes and consequences of ecological disarray have appeared often in such journals as Orion, Parabola, Environmental Ethics, Tikkun, Wild Earth, Resurgence, and The Ecologist, as well as in numerous edited anthologies. David’s work engages the ecological depths of the imagination, exploring the ways in which sensory perception, poetics, and wonder inform our relation with the animate earth. Named by the Utne Reader as one of a hundred visionaries currently transforming the world, he has been recipient of numerous honors and fellowships. David’s is also profiled in the recent book Visionaries: the 20th Century’s 100 Most Inspirational Leaders (Chelsea Green Press, 2007). peace, justice, and ecology, she interweaves her scholarship with five decades of activism. As the root teacher of the Work That Reconnects, she has created a ground-breaking theoretical framework for personal and social change, as well as a powerful workshop methodology for its application. fruitful resonance between Buddhist thought and contemporary science. The many dimensions of this work are explored in her books Despair and Personal Power in the Nuclear Age (New Society Publishers, 1983); Dharma and Development (Kumarian Press, 198); Thinking Like a Mountain (with John Seed, Pat Fleming, and Arne Naess; New Society Publishers, 1988; New Society/ New Catalyst, 2007); Mutual Causality in Buddhism and General Systems Theory (SUNY Press, 1991); Rilke's Book of Hours (1996, 2005) and In Praise of Mortality (2004) (with Anita Barrows, Riverhead); Coming Back to Life: Practices to Reconnect Our Lives, Our World (with Molly Young Brown, New Society Publishers, 1998); Joanna's memoir entitled Widening Circles (New Society, 2000); World as Lover, World as Self (Parallax Press, 2007), A Year With Rilke, (with Anita Barrows, Harper One, 2009); and Pass It On: Five Stories That Can Change the World (with Norbert Gahbler, Parallax Press, 2010). He is one of the world’s most innovative biologists and writers, is best known for his theory of morphic fields and morphic resonance, which leads to a vision of a living, developing universe with its own inherent memory. Join the revolution going on in science. Quantum Activism is the idea of changing ourselves and our societies in accordance with the principles of quantum physics. The Center for Quantum Activism seeks to educate, support and facilitate the transformation from the current materialist worldview to one based on the primacy of consciousness. Integral theory is an all-inclusive framework that draws on the key insights of the world’s greatest knowledge traditions. The awareness gained from drawing on all truths and perspectives allows the Integral thinker to bring new depth, clarity and compassion to every level of human endeavor — from unlocking individual potential to finding new approaches to global-scale problems. Barbara Marx Hubbard is a futurist, author and public speaker. She is credited with the concepts of ‘The Synergy Engine’ and the 'birthing' of humanity. Ervin Laszlo is a systems philosopher, integral theorist, and classical pianist. Twice nominated for the Nobel Peace Prize, he has authored more than 70 books, which have been translated into nineteen languages, and has published in excess of four hundred articles and research papers, including six volumes of piano recordings. Dr. Laszlo is generally recognized as the founder of systems philosophy and general evolution theory, and serves as the founder-director of the General Evolution Research Group and as past president of the International Society for the Systems Sciences. He is the recipient of the highest degree in philosophy and human sciences from the Sorbonne, the University of Paris, as well as of the coveted Artist Diploma of the Franz Liszt Academy of Budapest. Additional prizes and awards include four honorary doctorates. For many years he has served as president of the Club of Budapest, which he founded. He is an advisor to the UNESCO Director General, ambassador of the International Delphic Council, member of the International Academy of Science, World Academy of Arts and Science, and the International Academy of Philosophy. Founded in 1993, the global Club of Budapest is an informal international association dedicated to developing a new way of thinking and a new ethics that will help resolve the social, political, economic, and ecological challenges of the 21st century. With its roster of internationally renowned members the Club initiates a dialogue between different belief systems and world views in order to co-create and develop effective strategies for responsible and sustainable action with a global focus. Exploring and expanding the frontiers of science, medicine and spirituality. Founded in 1973, The SMN is an interdisciplinary networking forum and educational charity exploring science, medicine, philosophy and spirituality. It hosts conferences, dialogues and talks in the UK and on continental Europe. We are a membership organisation. Our members form part of a worldwide community of individuals who are searching beyond conventional scientific and religious paradigms for new answers and new questions. Membership is open to all who agree with our mission, aims and values. Danah Zohar is a management thought leader, physicist, philosopher and author. Her best-selling books include Spiritual Capital: Wealth We Can Live By and SQ – Spiritual Intelligence, The Ultimate Intelligence, which constitute ground-breaking work on SQ, spiritual intelligence and spiritual capital; ReWiring the Corporate Brain, The Quantum Society and The Quantum Self, previous work which extends the language and principles of quantum physics into a new understanding of human consciousness, psychology and social organization, particularly the organization of companies. Danah regularly speaks at leadership forums and works with corporate leadership teams worldwide. She has worked with the leadership initiatives of both local and national governments. She established The Oxford Academy of Total Intelligence as an educational centre and consultancy, with a mission to create a sustainable future for society through the development of corporate and organizational leadership, purpose and motivation. Brian Thomas Swimme is Director of the Center for the Story of the Universe and a professor at the California Institute of Integral Studies in San Francisco. He received his Ph.D. from the Department of Mathematics at the University of Oregon in 1978 for work in gravitational dynamics. He brings the context of story to our understanding of the 13.7 billion year trajectory of the universe. Such a story, he feels, will assist in the emergence of a flourishing Earth community. Journey of the Universe won the Northern California regional Emmy for Best Documentary, 2011. Swimme is the author of The Hidden Heart of the Cosmos and The Universe is a Green Dragon. He is co-author of The Universe Story, which is the result of a ten year collaboration with cultural historian, Thomas Berry. Swimme is also the creator of three educational video series: Canticle to the Cosmos, The Earth’s Imagination, and The Powers of the Universe. Most recently he co-wrote and hosted the 60 minute film Journey of the Universe, broadcast on PBS television stations nationwide.